I was very excited to see my work on this year’s Alice sesquicentenary celebrations featured on my college’s website. 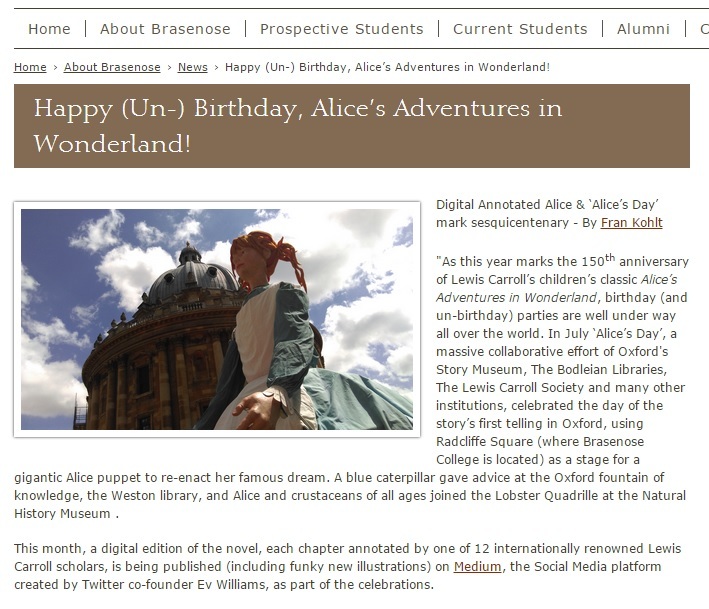 The college has been substantial in in facilitating a crucial part of ‘Alice’s Day‘ – the re-enactment of Alice’s Dream in the opening chapter of Alice’s Adventures in Wonderland. This was performed with giant puppets of the Alice and the White Rabbit by the Spanish company Teatre Nu – give it a read here!